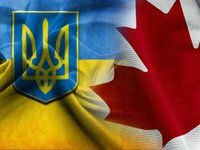 Canada every year commits up to CAD 50 million to support social and economic programs in Ukraine, Canada's Minister of International Development Marie-Claude Bibeau has said. "As part of our whole-of-government approach, Canada is committing up to $50 million annually in support of socio-economic programs across the country, building a strong and accountable democracy, and contributing to peace and security in Ukraine and the region as a whole," she said at a press conference in Kyiv on Monday. Bibeau also said that the Ukrainian Women's Fund had received a CAD 4.75 million grant to strengthen the women's movement in Ukraine. "I was very pleased to announce that Ukrainian Women's Fund has been selected to implement our Women's Voice and Leadership initiative of up to 4.75 million $ to strengthen the women's movement," she wrote on Twitter. Bibeau visited Ukraine from July 18 to July 23.